You’ve worked hard to develop a great website, engage your networks and build your organic search traffic. 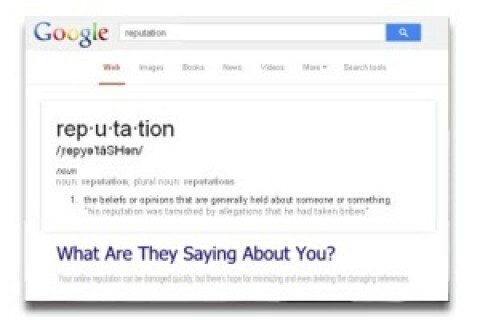 But suddenly, damaging mentions start appearing on the front page of Google in connection with you and your business. We don’t need to emphasize how bad this can be for your business. What should you do? Merited or not, ignoring negative reviews and articles is not a good idea, as the situation can spiral out of control as others jump on the bandwagon (there are plenty of people online who love to diss good companies just for the fun of it). Instead, get on top of it right away. Regular monitoring is important so that you uncover mentions that need attention as soon as possible. Legitimate customer complaints should be dealt with gently and publicly (if they’re already public). How can you make that customer happy? Sometimes just addressing their concerns will turn the situation around. 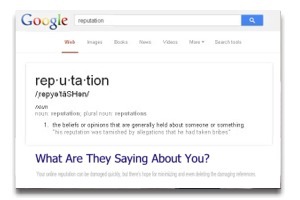 Other times more aggressive measures need to be taken to clean up key Google search results. Wondering where to begin? Give us a call and we’ll show you how to get that negative stuff off of the front page of Google once and for all and restore – and maintain – your good reputation.